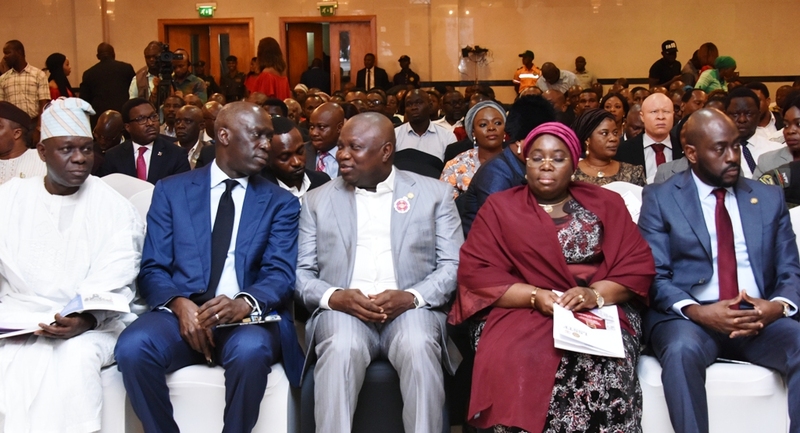 Lagos State Governor, Mr. Akinwunmi Ambode (middle); Chairman, Board of Trustees, Lagos State Security Trust Fund (LSSTF), Mr. Oye Hassan Odukale (2nd left); Chairman, APC Lagos, Alhaji Tunde Balogun (left); Deputy Governor, Dr. (Mrs) Oluranti Adebule (2nd right) and Executive Secretary, LSSTF, Dr. Abdurrazaq Balogun (right) during the 12th Annual LSSTF Security Town Hall meeting with the Governor, at the Civic Centre, Ozumba Mbadiwe Avenue, Victoria Island, Lagos, on Wednesday, November 28, 2018. 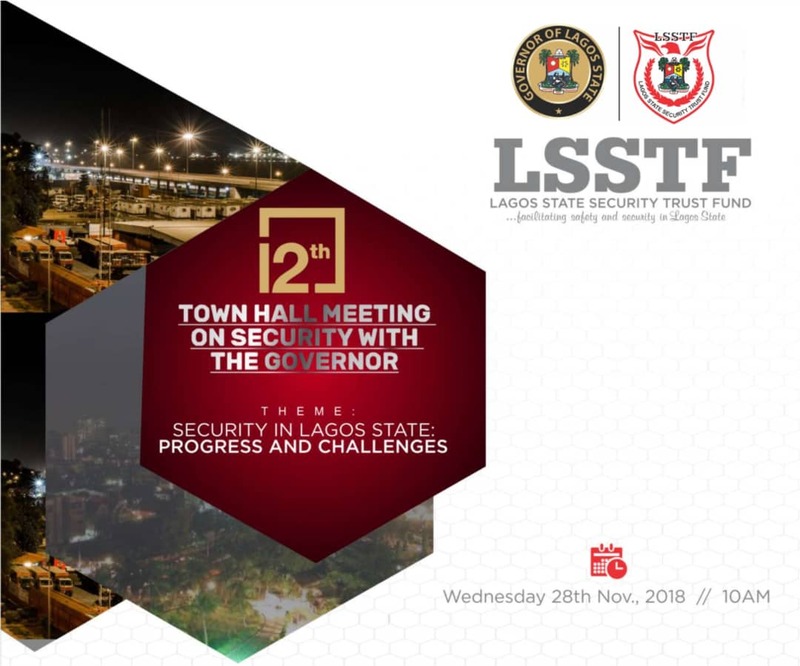 Lagos State Governor, Mr. Akinwunmi Ambode (3rd right), receiving a report from the Lagos State Security Summit 2018, presented by the Chairman, Board of Trustees, Lagos State Security Trust Fund (LSSTF), Mr. Oye Hassan Odukale (right) during the 12th Annual LSSTF Security Town Hall meeting with the Governor, at the Civic Centre, Ozumba Mbadiwe Avenue, Victoria Island, Lagos, on Wednesday, November 28, 2018. 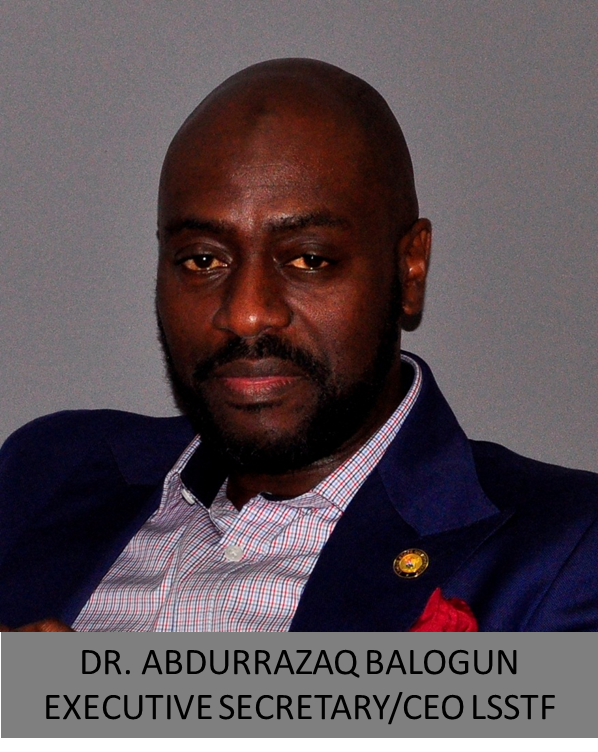 With them are Board members, Mr. Opeyemi Agbaje (2nd right); Special Adviser to the Governor, Office of Overseas Affairs and Investment (Lagos Global), Prof. Ademola Abass (left) and others. 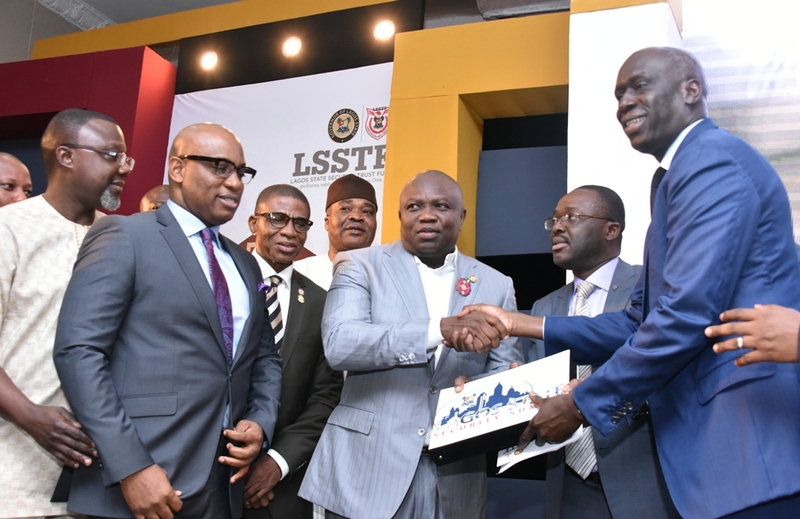 Lagos State Governor, Mr. Akinwunmi Ambode (middle), receiving a report from the Lagos State Security Summit 2018, presented by the Chairman, Board of Trustees, Lagos State Security Trust Fund (LSSTF), Mr. Oye Hassan Odukale (2nd right) during the 12th Annual LSSTF Security Town Hall meeting with the Governor, at the Civic Centre, Ozumba Mbadiwe Avenue, Victoria Island, Lagos, on Wednesday, November 28, 2018. 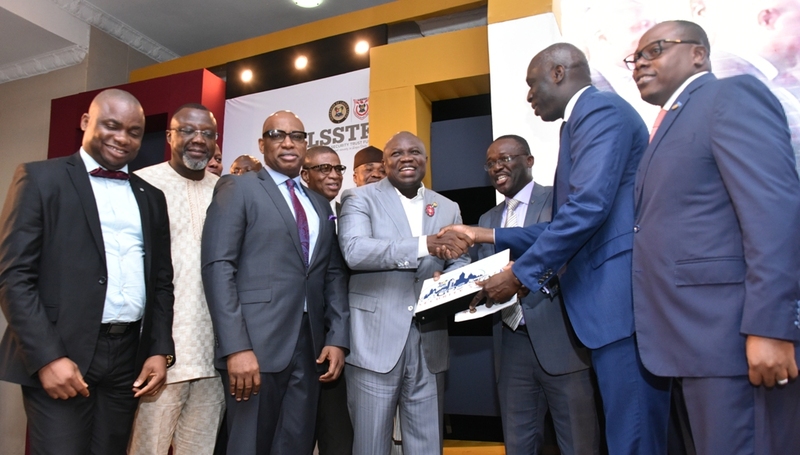 With them are Board members, Mr. Gbolahan Lawal (right); Mr. Opeyemi Agbaje (3rd right); Special Adviser to the Governor, Office of Overseas Affairs and Investment (Lagos Global), Prof. Ademola Abass (2nd left) and others. 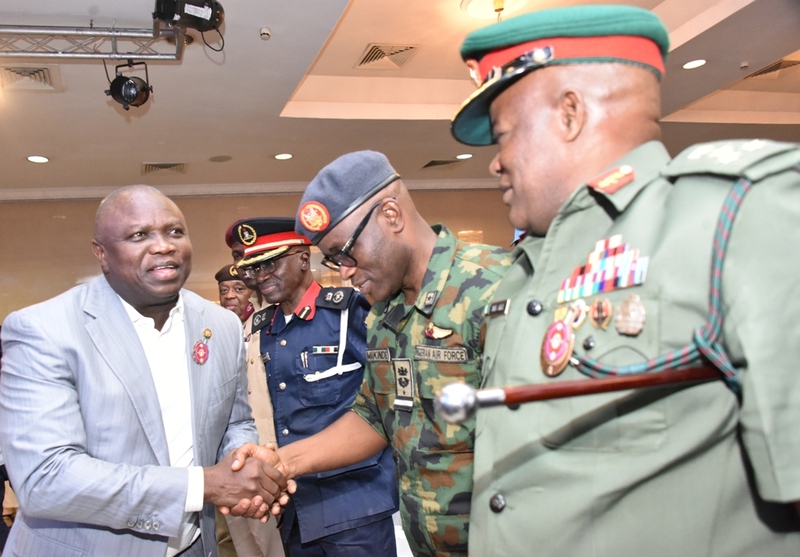 Lagos State Governor, Mr. Akinwunmi Ambode, with State Commandant, Nigeria Security and Civil Defence Corp (NSCDC), Lagos State Command, Mr. Tajudeen Balogun ; Air Commodore Sunday Makinde and Commander, 9 Brigade, Nigerian Army, Ikeja Cantonment, Moundhey Gadzana Ali, during the 12th Annual LSSTF Security Town Hall meeting with the Governor, at the Civic Centre, Ozumba Mbadiwe Avenue, Victoria Island, Lagos, on Wednesday, November 28, 2018. 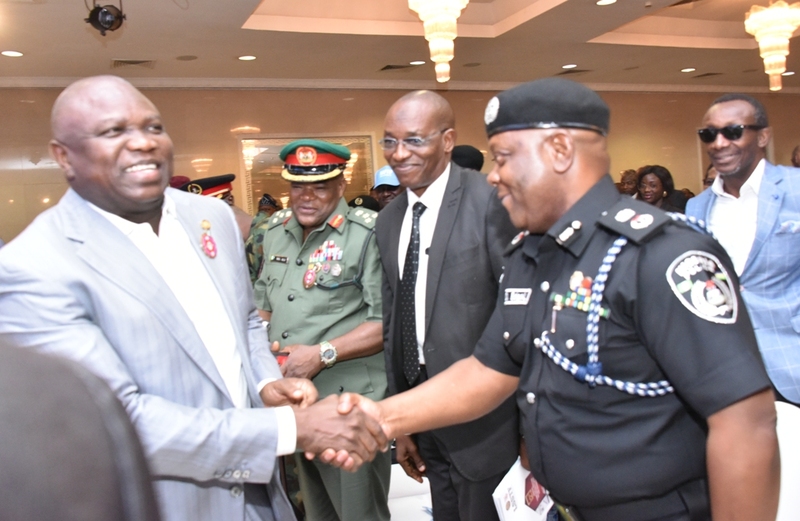 Lagos State Governor, Mr. Akinwunmi Ambode (left), with State Commissioner for Police, Mr.Imohimi Edgal (right); Commander, 9 Brigade, Nigerian Army, Ikeja Cantonment, Moundhey Gadzana Ali (2nd left); former Executive Secretary of Lagos State Security Trust Fund (LSSTF), Mr. Fola Arthur-Worrey (behind), during the 12th Annual LSSTF Security Town Hall meeting with the Governor, at the Civic Centre, Ozumba Mbadiwe Avenue, Victoria Island, Lagos, on Wednesday, November 28, 2018.
personal essay for college admission.